Is Your Current Die & Mold Supplier Full of Excuses? 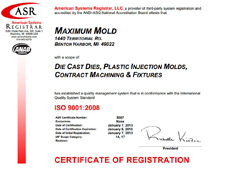 Maximum Mold is proud to be ISO-9001 certified. For us, ISO is more than just the annual audit. It’s our culture. We live and breathe what ISO is all about as we serve our customers. Standard processes. Risk reduction. Continuous improvement. These are how we do business. We don’t cut corners. We work harder so you can sleep at night. 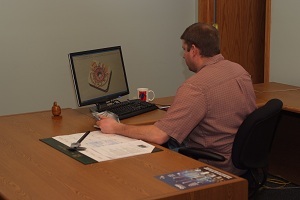 We strive to find new and innovative methods to meet your needs for quality, productivity and cost improvement.